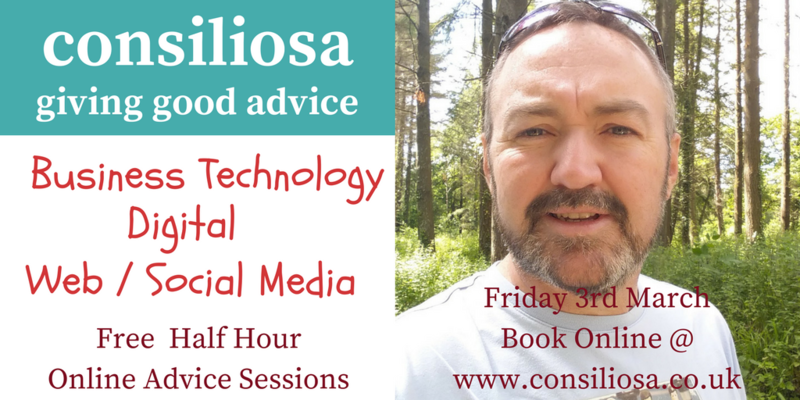 I’m trying out the New Bookings Functionality in Office 365 and so I have blocked out a day on Friday 3rd March to offer free half hour consultations to businesses. These will be conducted over the Phone, Skype, Facebook Messenger, WhatsApp, FaceTime or whatever online communication tool is most appropriate for you. There are limited slots offered on a first come first served basis. I would ask you to put your email, phone number/Skype etc & a brief description of the Business Technology, Digital or Web question/issue you may be having. I will then phone/Skype at the allotted time.